I long ago gave up on the rat race.I just take it at a snail`s pace,now. To busy surfing, martial arts and doing my best to make others happy then to run the rats race. 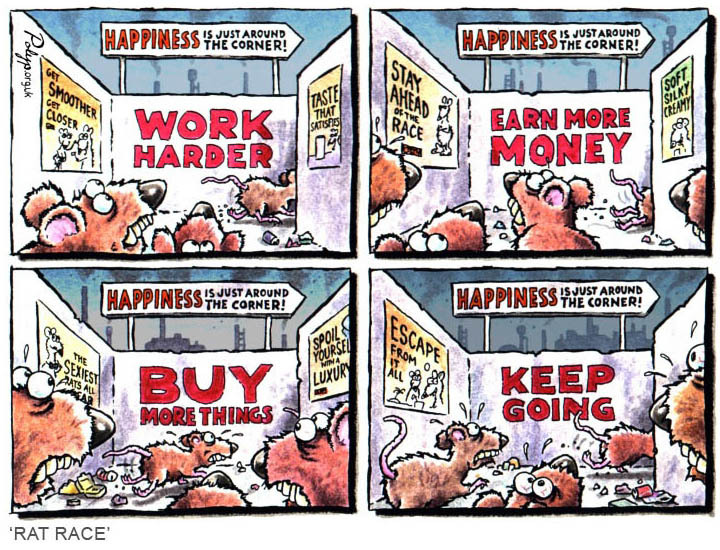 How is that not the rat race? Your pomposity does not make me happy. Too busy being materialistic to care about the rat race. I tried to enter the rat race once, but failed the drug test.